There are two ways of looking at this win by Batang Gilas. The first, is the easy, and most used way of viewing it: a win is a win. Technically, it is true. Batang Gilas needed this win as a buffer in the event that they lose to a strong Australian team on Wednesday. At the bare minimum, all Gilas had to do was to win versus Malaysia to advance to the next round. Mission accomplished. Besides the win, Batang Gilas had some good takeaways they can bring for future games. We’ve been crediting the team for possessing height they didn’t have in previous tournaments, and they made good use of that in this game. Kai Sotto (14 points, 16 rebounds) led the way with four blocks, but others also chipped in on the defensive end. Raven Cortez (12 points, 12 rebounds, two steals) served as a worthy back-up for Sotto, providing a little bit more mobility and energy for the team. 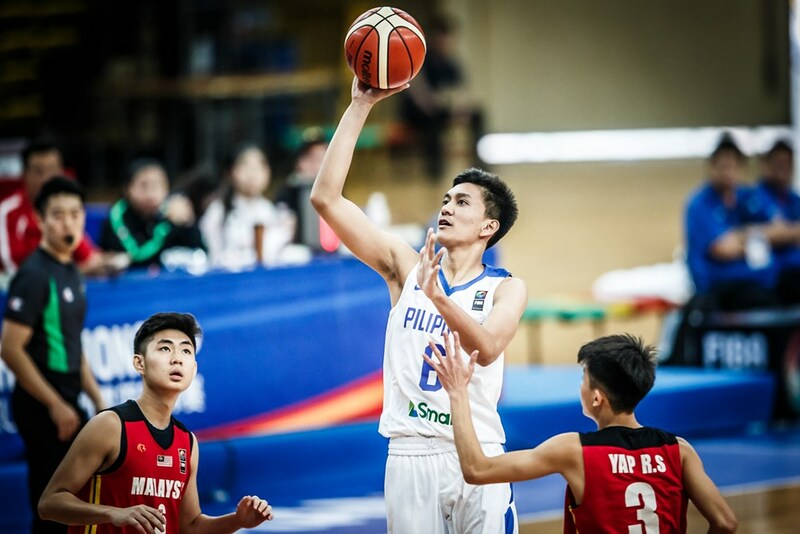 He was able to defend the big men of Malaysia in the perimeter a bit better than Sotto, while on the offensive end, he showed terrific motor on offensive rebounds and rolls to the rim. Joshua Lazaro (Two points, seven rebounds) was also someone who impressed in his first game in the tournament. His stats may be impressive, but his activity on the defensive more than made up for his lack of offensive production. He’s a Swiss Army knife type of defender any team needs. Someone who can man multiple positions and different types of players. He showed the foot speed and lateral quickness to defend guards off pick and rolls, and he has so much length that big men have difficulty scoring against him down low. Right after getting the stop, he ran the floor, always with purpose, making precise cuts and flashes to help with the flow of the offense. During the fourth quarter, Gilas started to pull away versus Malaysia, and a big part of that was its defense and overall mobility. With Lazaro playing the power forward postion and Cortez manning the middle, any time Gilas pulled off a stop, the team would immediately run to the other side of the floor and convert off the fastbreak. 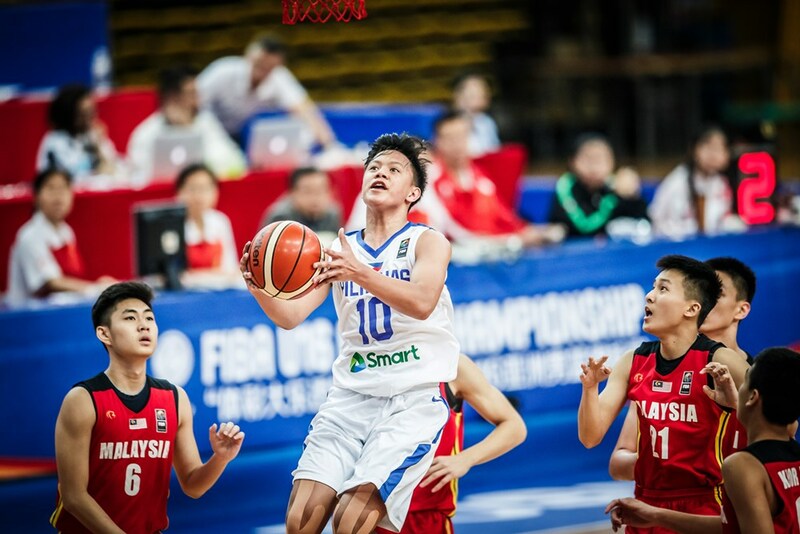 Terrence Fortea led the back court in scoring with 13 points. Forthsky Padrigao had only three points but led the team with five assists. He also added seven rebounds and two steals. It’s the kind of brand of basketball Coach Mike Oliver has preached for the longest time: peak Filipino basketball. The good kind, of course. Then, with the good comes the bad. There’s the other way of looking at this Gilas win, which screams: Cool, Gilas won, but it wasn’t one exactly worth celebrating. During the first half, Batang Gilas missed nine of their 15 free throw attempts, which played a large part in the game being this closed. They continued to get fouled during the second half, but they still couldn’t make their freebies. The team would up finishing the game making just 12 of their 30 free throws. Those misses from the line immediately set the pace for Gilas’ offense, in the worst way. There was little to zero flow with how the team moved the ball around. There would even be instances when the offense would feel lost, not knowing how to start their action and ending up forcing out of rhythm shots. It was an off game for Batang Gilas. But they also didn’t do themselves any favors by not running their offense and instead, forcing the issue. Aside from toug three-pointers, they also tried to push the pace a bit too hard by throwing ill-timed full-court passes. The result of their struggles from the offensive end was an atrocious 2/27 display from the three-point line, while also committing 15 turnovers in the process. High risk, high reward. There are things Batang Gilas can pick off this game and build off for their next games in the tournament. But they have to be able to adjust fast enough, because the games in this tournament go by fast and are merciless. The potential is there. It’s simply a matter of harnessing it into production, paired with some smart basketball being played in the process.